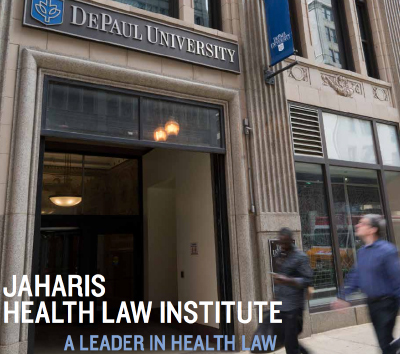 The Health Law program at DePaul University College of Law is one of only a dozen programs in the nation that is accredited by the Compliance Certification Board (CCB). JD, MJ and LLM students who complete the requirements below are eligible to sit for any of the CCB’s certification exams for up to a year after graduation, without any additional continuing education or professional work experience requirements. Certification by the CCB enhances your credibility within an organization and among your peers. The CCB developed criteria to determine competency in the practice of health care compliance and it recognizes individuals meeting those criteria. The HCCA 2015 Salary Survey found that the Certified Healthcare Compliance (CHC) designation was held by nearly half of all respondents, and respondents with this certification earned more than those without one. DePaul College of Law’s health care compliance program is carefully designed to develop your understanding of complex health care regulations and policies, as well as issues related to quality of care, fraud, waste and abuse. The program provides you with valuable and practical skills that translate into important on-the-job competencies, allowing you to stand out as a professional who can effectively and comfortably communicate with physicians, health care administrators, legal counsel and boards of directors. More importantly, you will learn to effectively assess the compliance needs of your organization and successfully navigate the ever-changing health care regulatory landscape. To be certified to sit for the CCB compliance exams, DePaul College of Law students must earn 15 credit hours from the health care compliance courses listed below and meet all other JD, LLM or MJ degree requirements. A minimum GPA of 3.0 at graduation is required by the CCB. Upon graduation, students should email the Associate Dean for Academic Operations​ to request a letter of certification. If the student is eligible, the Associate Dean will issue the letter of certification, which the student can submit to CCB. Certification allows students to sit for the exam without any continuing education units or prior work experience. Students have a period of two years from the completion of the program to sit for a CCB exam. Note, however, that continuing education units (CEU) expire after one year, so a student who sits for a CCB exam more than one year after graduation will need to accrue additional CEUs to sit for the exam. For more information, see the CCB website. Learn more about our health law program, which ranked 15th in the nation according to U.S. News & World Report.